HERCULES WORKSHOP REPAIRS AND RECONDITIONS VINTAGE ELECTRONIC AND ELECTRIC TECHNOLOGY WE FIND INTERESTING. WE ALSO MAKE VINTAGE COMPUTER CABLES AND CUSTOM BUILT TO ORDER CABLES FOR VINTAGE TECHNOLOGY APPLICATIONS. Originally founded as Hamilton Typewriter and Office Products in 1972 we've been working with manual, electric and electronic machines for over 40 years. 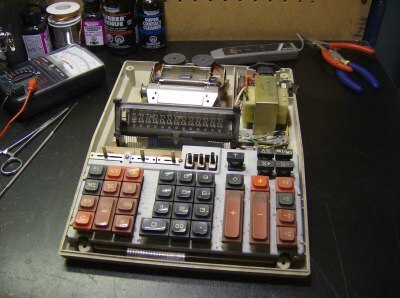 We professionally refurbish and recondition vintage calculators and typewriters. 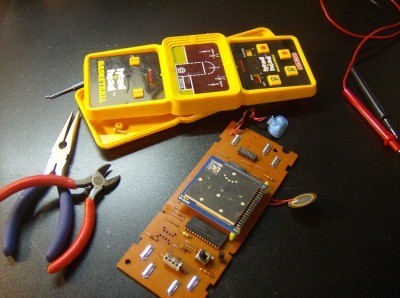 Added March 31, 2019 - Reconditioned Vintage 1980 Pocket Simon portable electronic game from Milton Bradley. Very nice blast from the past. March 26, 2019. Vintage Portable Electronic Games added from Entex Electronics. Electronic Poker (Original in Box) and Jackpot (Electronic Gin Rummy & Black Jack). Added Jan. 28 - Reconditioned Atari 2600 (JR) Video Computer System. Includes New AC Adapter and New Video Cable to attach directly to modern TV's. January 21, 2019. New Product Announcement - Our new 9V Battery Eliminator. Allows you to power any device requiring a 9V battery with a compatible AC Adapter (9VDC Center Positive with audio style plug - Sold Separately). Merry Christmas. Dec 24, 2018, we'll be closed while our family celebrates Christmas but please feel free to visit our Online Store and shop. Mar 3 2018, New Product Announcement. 9 FT Coleco Gemini TV Video Cable. Replaces Coleco # S92053). High Quality Shielded Cables, includes free F-Jack Adapter. New Product Announcement Added Dec 24 2017 6' Atari Video Monitor TV Cable and 6' Commodore Video Monitor TV Cable S-Video cable with optional 3.5mm Phono or RCA audio jacks. New Product Announcement, June 21, High Resolution Monochrome VGA cable for Atari ST computers (all models). 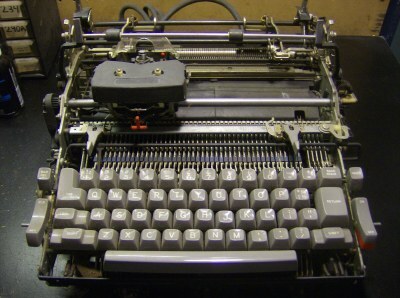 Dec 30, Added original IBM "Selectric" typewriter keyboard layout arrangement document to library downloads section. Dec. 4, new replacement for 78M05 / 7805 voltage regulators. 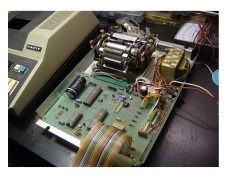 Used to repair dead Atari 2600, Atari VCS (CX2600/CX2600A) and Atari 7800 systems. Sept. 26, New Product Announcement Coleco Gemini WYE Connector. 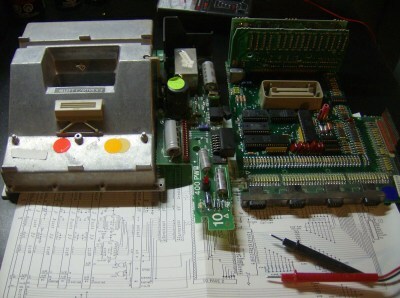 Replaces original Coleco part# R72426. S-VIDEO ADAPTERS AND CABLES FOR VINTAGE ATARI AND COMMODORE COMPUTERS. MAIL ORDER CABLES AND ADAPTERS AVAILABLE FROM OUR Online Store. PROFESSIONALLY MADE RIGHT HERE IN OUR WORKSHOP IN NIAGARA FALLS. EACH ITEM IS MADE USING HIGH QUALITY PARTS AND COMPONENTS AND ARE FULLY WARRANTIED AGAINST DEFECTS IN BOTH WORKMANSHIP AND MATERIALS. WE REGULARLY MAKE A WIDE VARIETY OF Vintage Custom Computer Cables. WE ARE ABLE TO HANDLE CUSTOM ORDERS FROM A SINGLE CABLE TO A MEDIUM SIZED ORDER FOR MULTIPLE CABLES. CONNECTS THE ATARI COMPUTER TO A MODERN TV / MONITOR S-VIDEO. COMES WITH CHOICE OF EXTERNAL AUDIO CONNECTORS. COMPATIBLE WITH ATARI 800 65XE AND 130XE. (SUPPORTS NTSC AND PAL). CABLE CONNECTS THE ATARI COMPUTER TO A MODERN TV / MONITOR S-VIDEO AND INCLUDES DUAL (MONO) AUDIO. COMPATIBLE WITH ATARI 800 65XE AND 130XE. (SUPPORTS NTSC AND PAL). CABLE CONNECTS A COMMODORE COMPUTER TO A MODERN TV / MONITOR S-VIDEO. INCLUDES DUAL (MONO) AUDIO. COMPATIBLE WITH COMMODORE C64 AND C128 8-PIN VIDEO MODELS. (SUPPORTS NTSC AND PAL). CABLE CONNECTS A COMMODORE COMPUTER TO A MODERN TV / MONITOR S-VIDEO. INCLUDES CHOICE OF EXTERNAL AUDIO CONNECTORS. COMPATIBLE WITH COMMODORE C64 AND C128 8-PIN VIDEO MODELS. (SUPPORTS NTSC AND PAL). THIS ADAPTER CONVERTS S-VIDEO TO SPLIT CHROMA AND LUMA VIDEO SIGNALS. S-VIDEO JACK TO 2X RCA PLUGS (1X FEMALE 4 PIN MINI DIN JACK TO 2X MALE RCA PLUGS). THIS ADAPTER CONVERTS SPLIT CHROMA AND LUMA VIDEO SIGNALS TO S-VIDEO. 2X RCA JACKS TO S-VIDEO PLUG (2X FEMALE RCA JACKS TO 1X MALE 4 PIN MINI DIN PLUG).